Celebrate a friend's birthday by throwing them a "picture perfect" celebration. 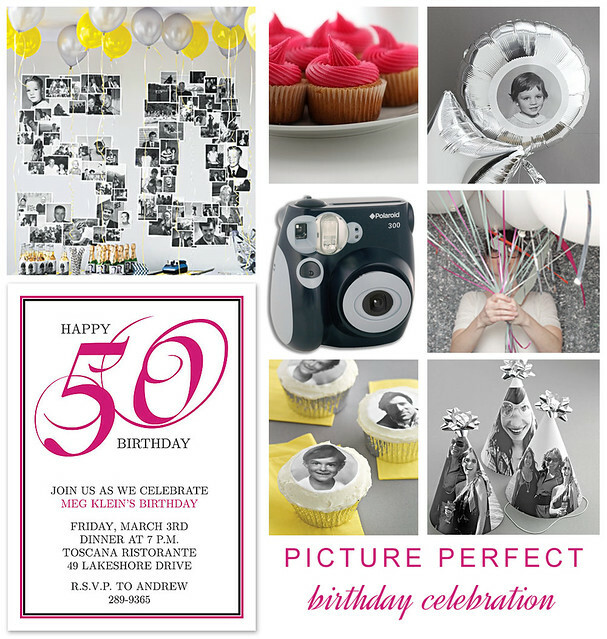 Decorate the party venue with a photo collage in the shape of their age, like the "50" collage featured below from Martha Stewart. Use more photos to decorate balloons, cupcakes and party hats. For a fun look, use only black and white photos and add colorful accents for flair. A photo booth will make the party unique and give guests a chance to be silly and have fun. Use the photos from the photo booth to create another collage or create a keepsake book for the guest of honor.